CLOSEOUTS. 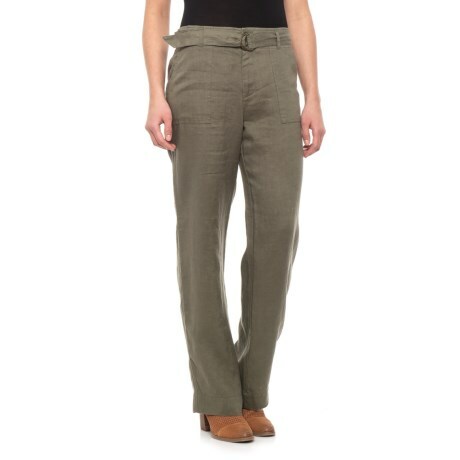 Keep your cool in warmer weather with Tahariand#39;s solid linen pants. Theyand#39;re lightweight, breathable and offer versatile style for dressing up or down. Available Colors: CLOVER. Sizes: 4, 6, 8, 10, 12, 14.